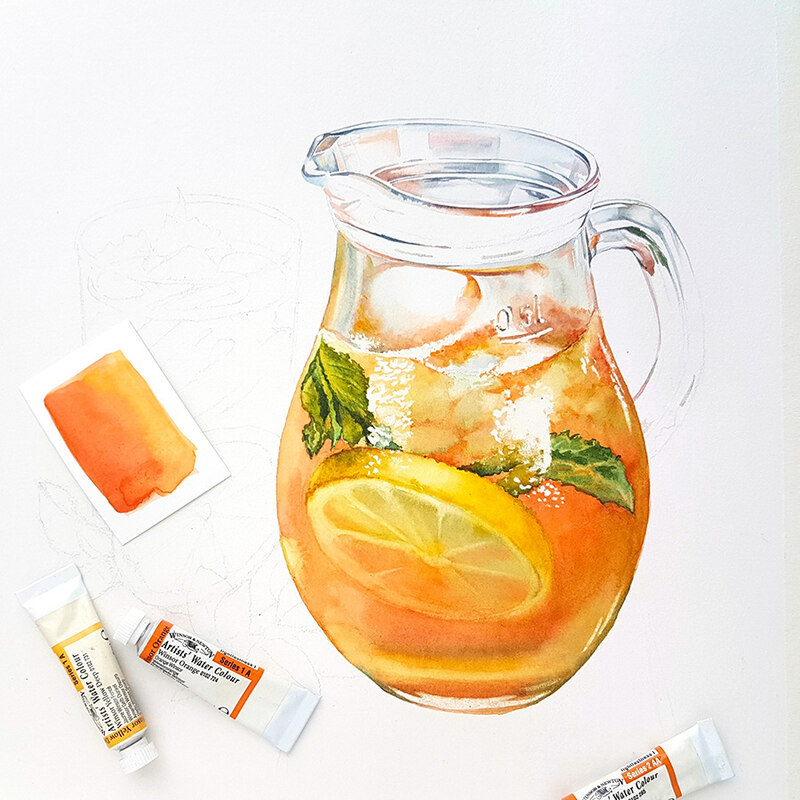 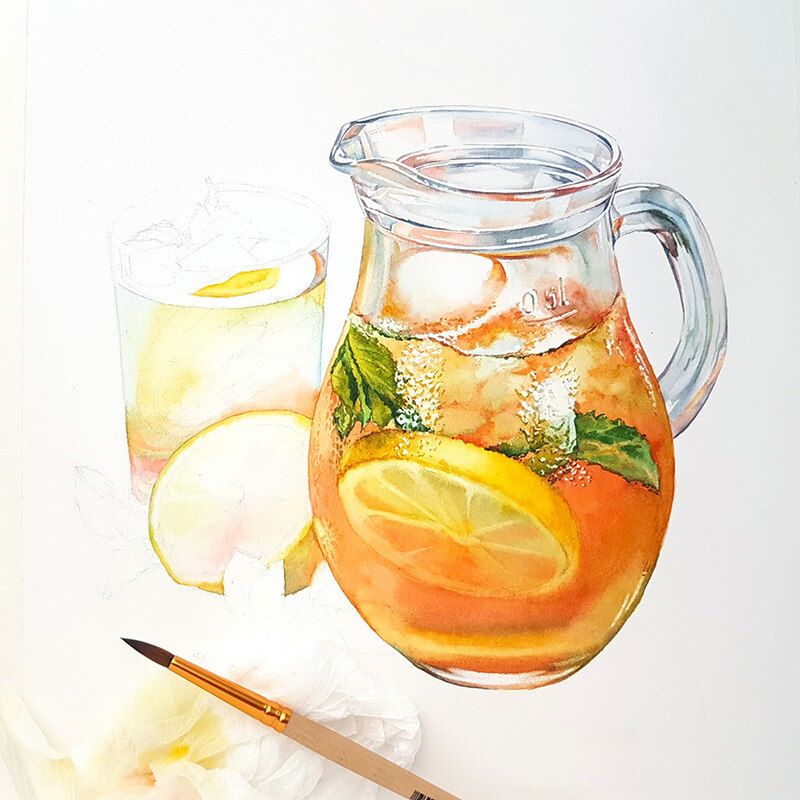 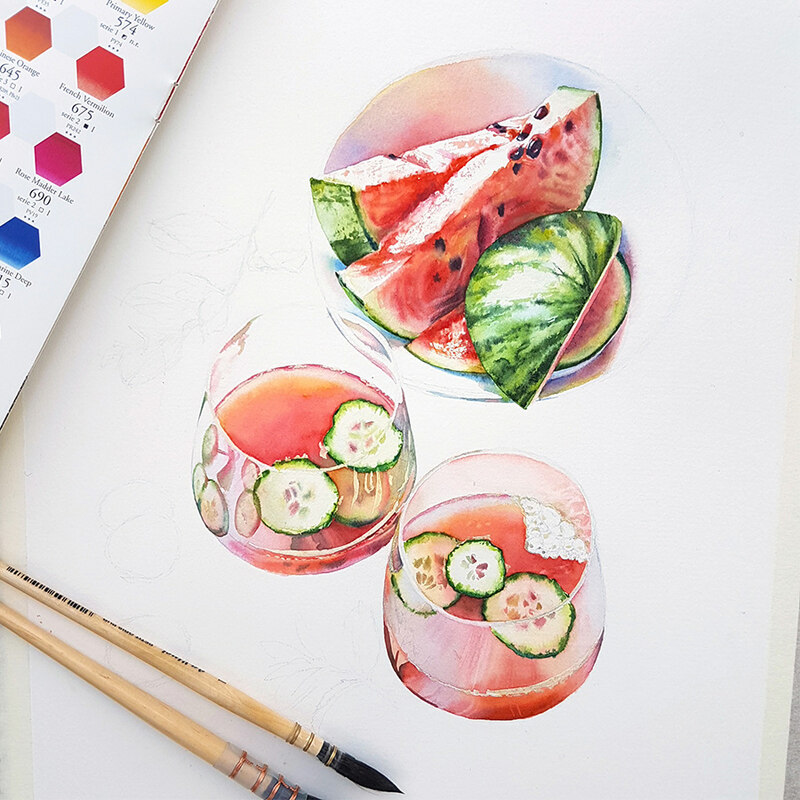 Watercolor illustrations of beverages and cocktails by Kateryna Savchenko. 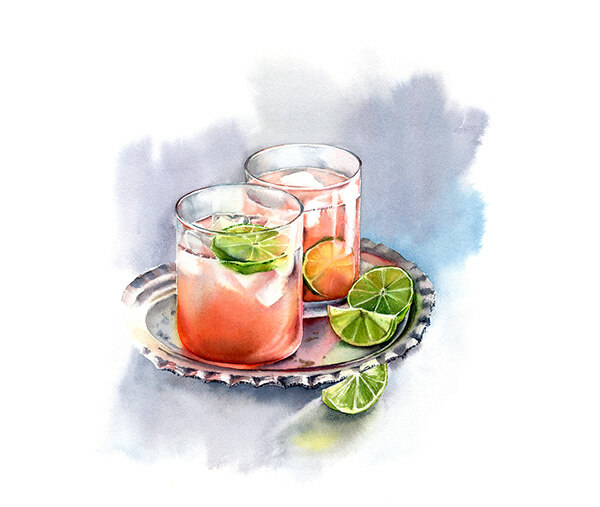 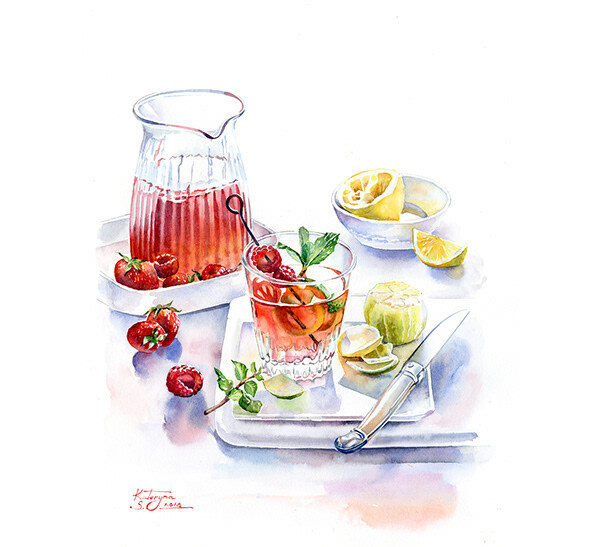 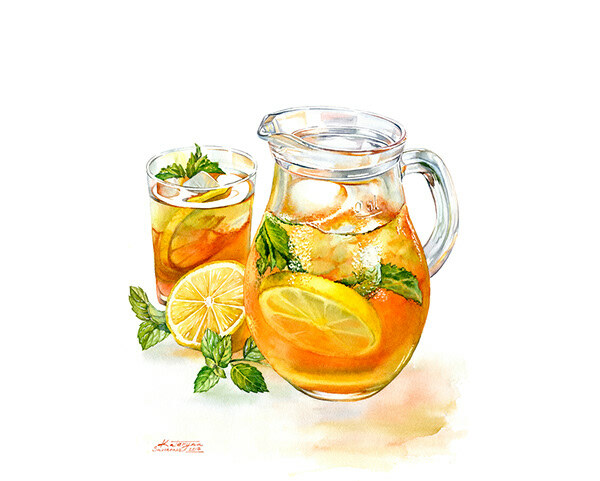 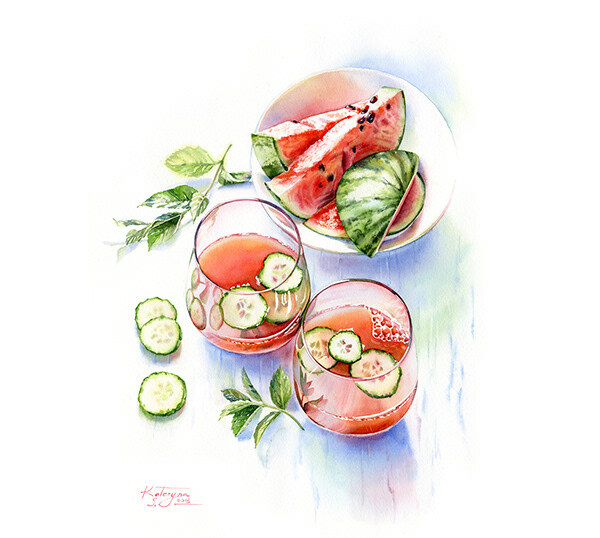 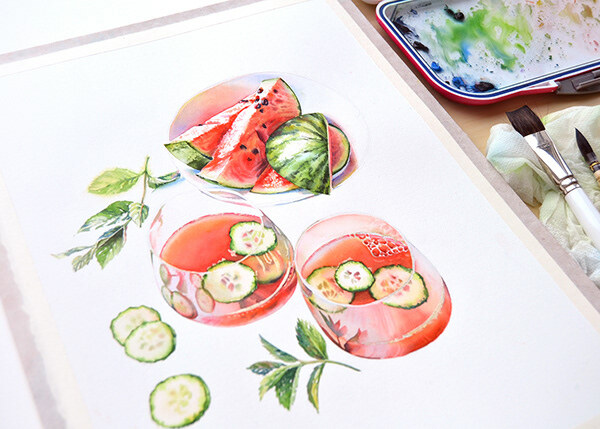 Watercolor illustrations of summer beverages, drinks and cocktails by Kateryna Savchenko. 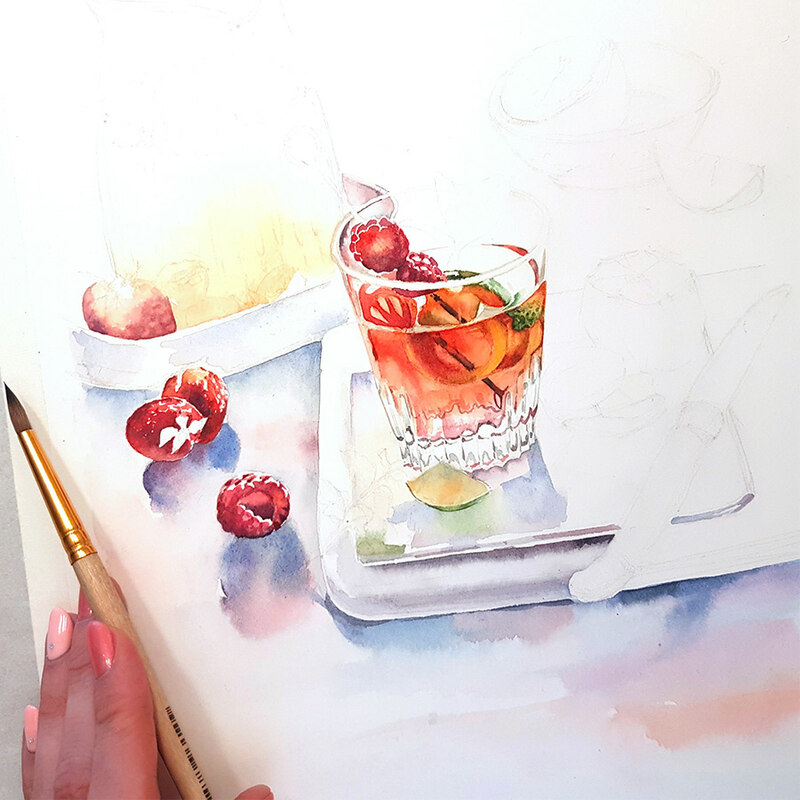 My goal was to explore glass, metal and ceramic surfaces, reflections and distortions. 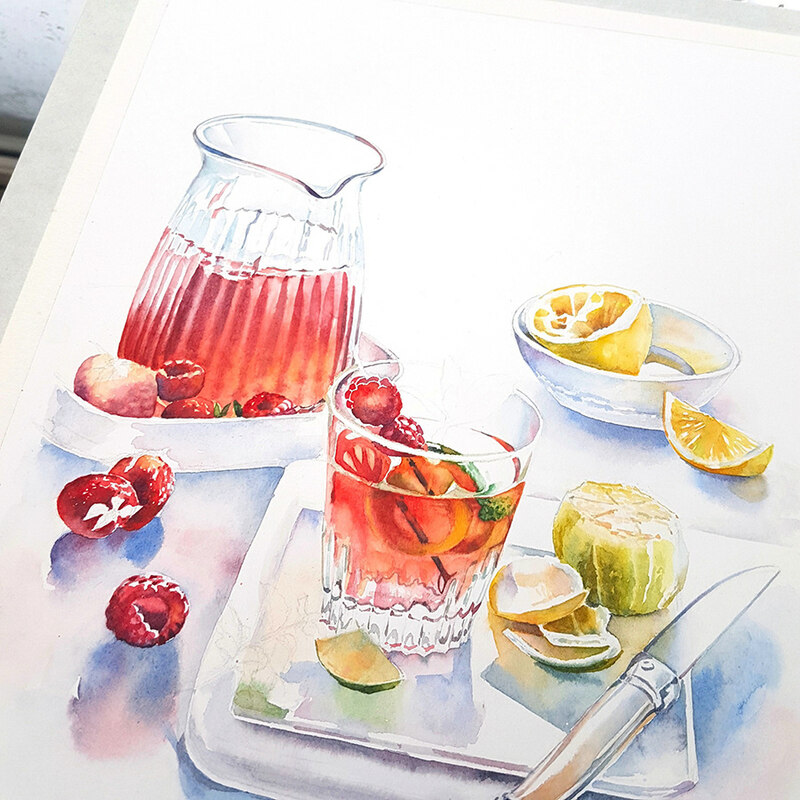 I wanted to use bright vibrant colours and convey the freshness of berries and fruits. 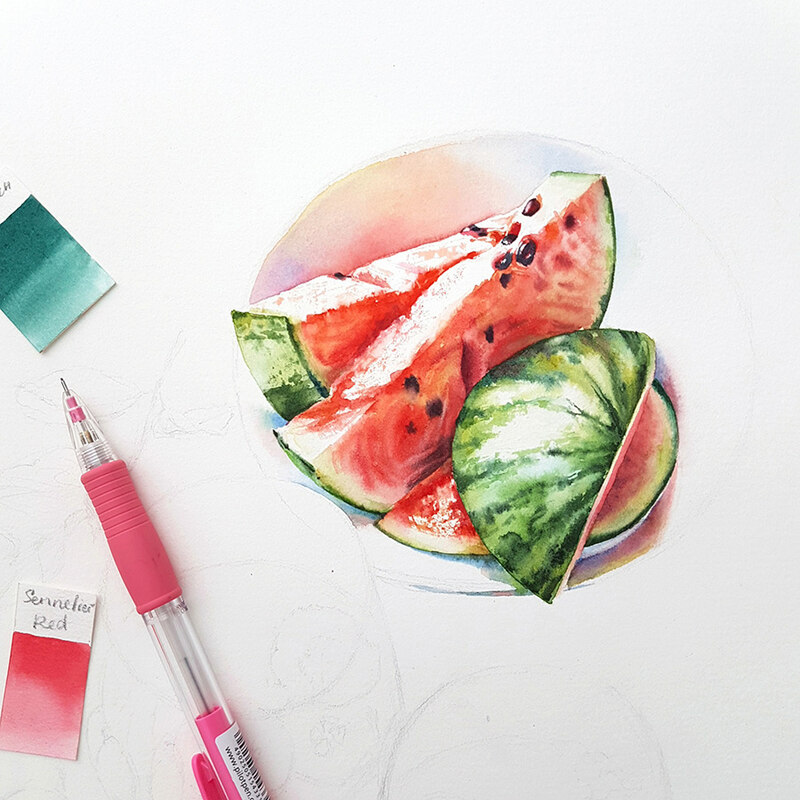 Some of these paintings are more detailed, some look more like a sketch.